Driving home from work last week, I found myself behind one of those cars that were plastered with “peace” type bumper stickers. As it made for good reading while sitting at the stop light, I began to think about how peace was a nice concept, but it simply isn’t human nature. 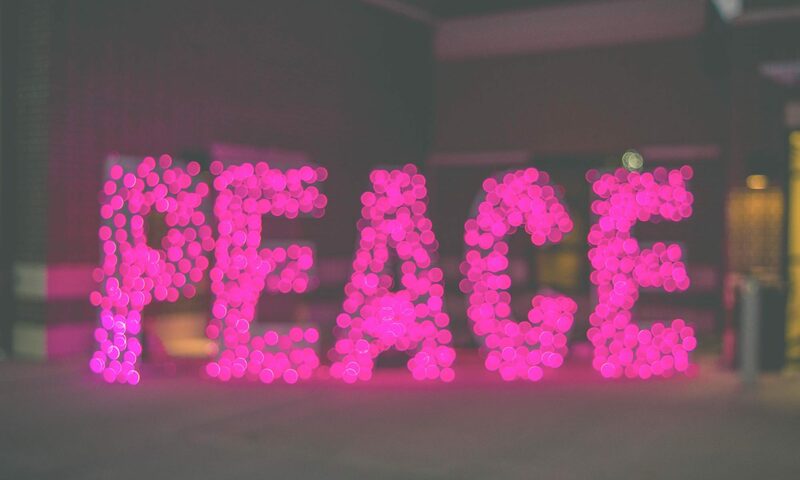 On a grand scale, peace is elusive, and there is always a need for peacemakers, in fact, I think that most people want peace and that is how the anti-christ will establish a hold on the world, through the promise of peace. True peace doesn’t come until after Jesus comes back and establishes His kingdom upon this earth, but that doesn’t mean we can’t desire peace and work towards peace on a smaller personal scale.